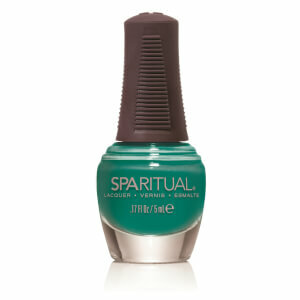 SpaRitual products are vegan-based and use ingredients from all over the world in its formulas. Many of the plant essences that SpaRitual uses are wildcrafted or organic. None of the formulas contain sulfates. The nail lacquers and nail care treatments are also free of toluene, formaldehyde, formaldehyde resin, camphor and DBP. One of the brand’s most popular items is the SpaRitual Instinctual Oil. Not just your ordinary massage oil, it smells great and makes your skin feel silky and hydrated. 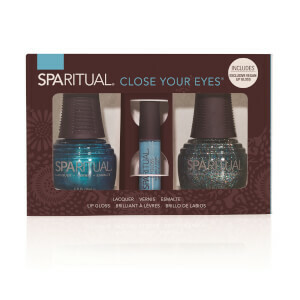 SpaRitual nail polish is also very popular. 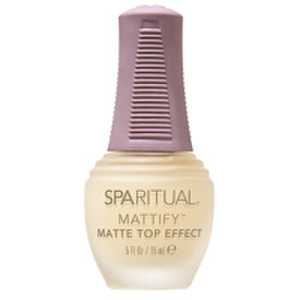 One customer loves the SpaRitual Mini Nail Lacquer - Mystic which is a putty taupe color and organic. SpaRitual is dedicated to designing premium nail and spa products that are healthy for your skin and nails and also packaged to be in harmony with the environment. The SpaRitual line includes seven specific spa treatments and three bath salts. Each formula has been engineered to deliver the optimum manicure, pedicure or body treatment. Each treatment has a fresh, clean, natural fragrance and provides unique therapeutic benefits that specifically stimulate specific chakras. Its nail lacquer was the first professional nail care line to be completely vegan. The nail lacquer line combines color therapy and numerology to associate a message about the wearer of certain colors.